If you imagine life as an often-perilous journey, then the boat can represent a symbol of security. 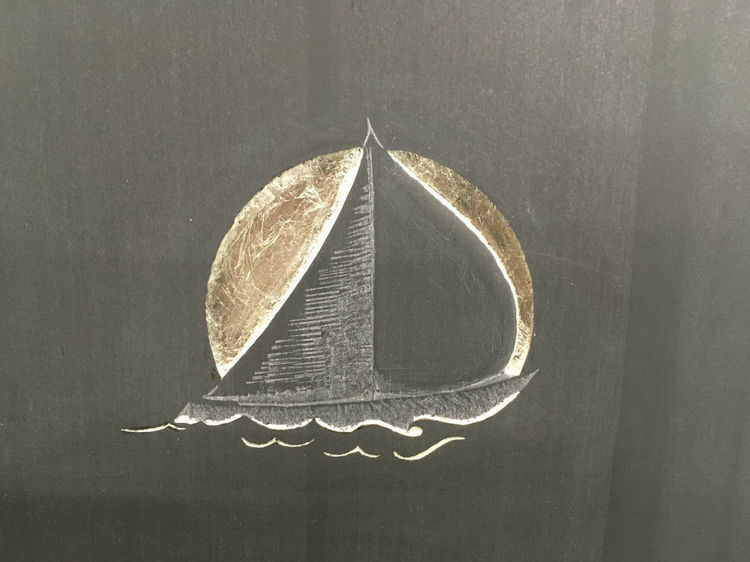 The boat carries us through life’s shifting currents. We are moored, and we lose our moorings. We sail with and against the tides. The boat holds us secure above the chaos of life. A fishing boat might represent the Kingdom of Christ and his followers. Jesus told his disciples to “follow me and I will make you fishers of men”. The central seating area of the church is called the Nave which derives from the Latin for Ship. The mast of the boat itself often formed a cross and thus represented the cross especially in times of persecution when the cross needed to be disguised. In ancient Egypt, the boat was the vehicle that enabled the sun’s journey across the sky as it was “conveyed each night in a bark over the abysmal ocean of darkness toward sunrise and rebirth, just as consciousness is conveyed over the nether seas of sleep”. Ancient carvings can be found of a boat with the sun god Ra. The boat immediately evokes a passage, carrying you over the watery depths. 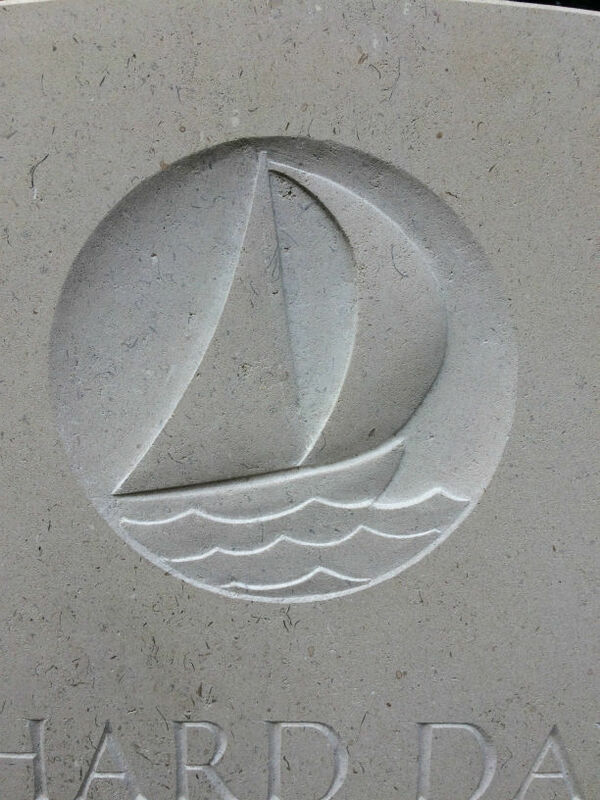 The boat can symbolise a spiritual journey on the sea of life; one cannot get anywhere by remaining on an island. A boat without a pilot might also suggest that God guides the soul’s journey. 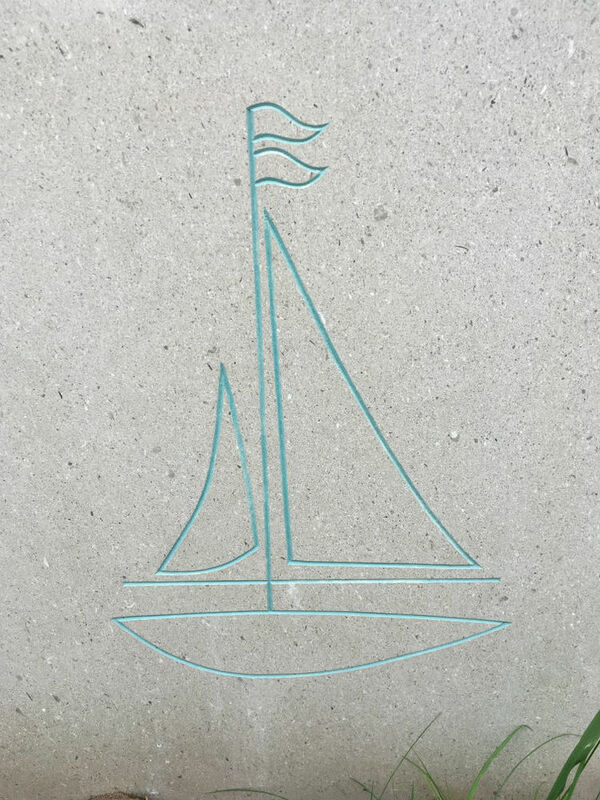 The boat is an important symbol in Greek Mythology, for example, Homer’s Odyssey is a spiritual journey by boat. The boat embodies the voyage of life, of coming full circle and also the last journey, taking us back to the waters of our beginning. Eric Neumann describes the ship of death “leading us back to the swaying, gliding somnolent rhythms of earliest childhood, of the primordial ocean and the night”. 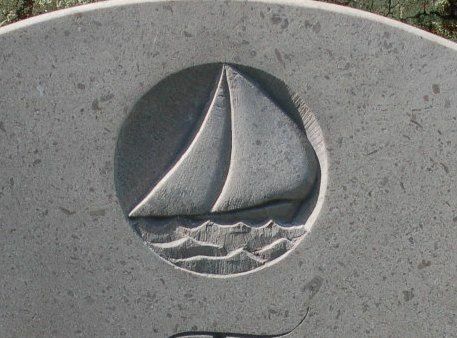 People often choose a boat to be carved on a headstone for the simple reason that their loved one loved the sea or loved sailing. The boat might be a source of great joy and freedom. 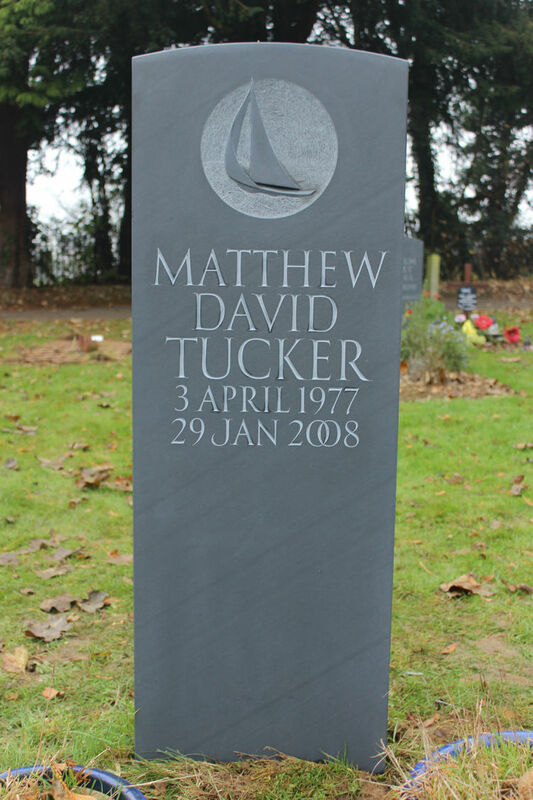 Follow this link for further examples of symbols on gravestones. 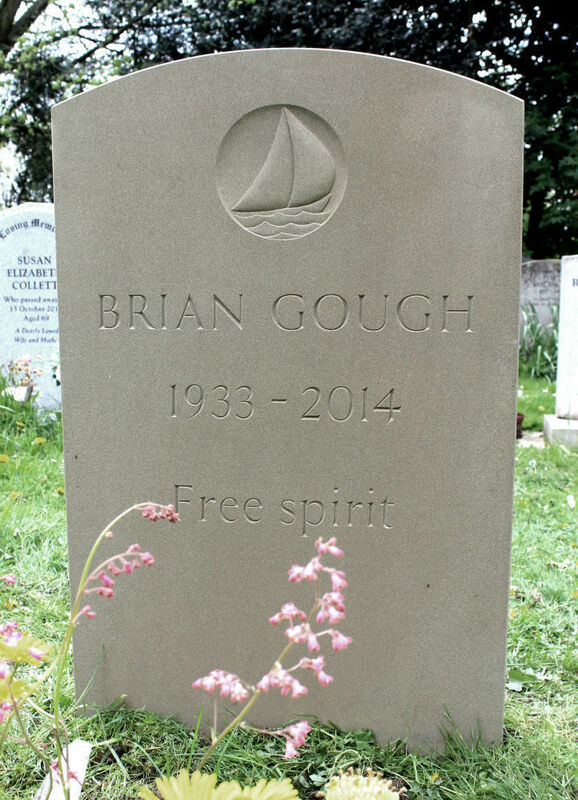 Below are some epitaphs and poems which might be used on a headstone alongside a carving of a boat. May the winds be gentle, may the waves be calm. 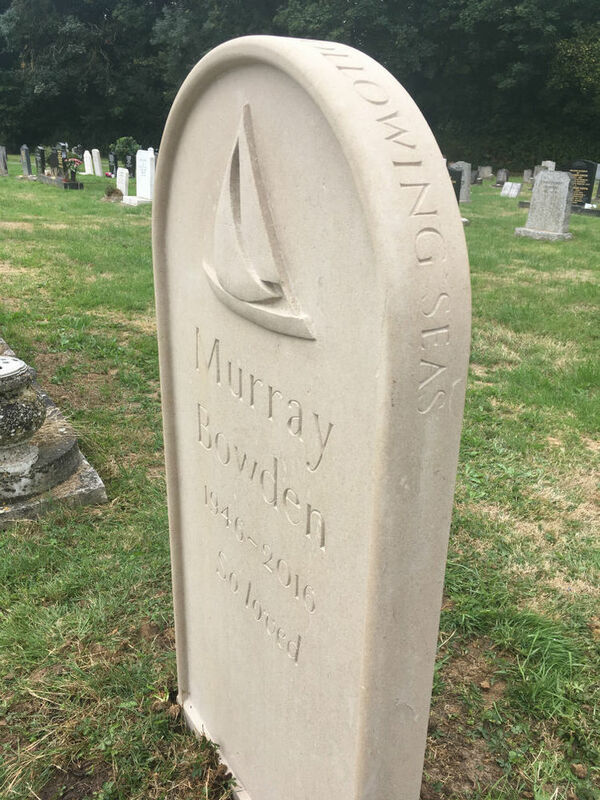 This carving was not done by us, I found it on a headstone in Norfolk. She traverses the boundless universe. If I take the wings of the morning and dwell in the uttermost parts of the sea. Oh night spread thy wings over me as the imperishable stars. From Howard Carter’s gravestone. And from the clouds a word. To fill the jib and the main. and weathering the waves' dips and crests. May you hear the ocean's music in every shell you hold to your ear. I arise, and unbuild it again. .
HOW COULD the love between Thee and me sever? As the leaf of the lotus abides on the water: so thou art my Lord, and I am Thy servant. As the night-bird Chakor gazes all night at the moon: so Thou art my Lord and I am Thy servant. From the beginning until the ending of time, there is love between Thee and me; and how shall such love be extinguished?